Living It Up tells the story of a bus driver who is on the verge of committing suicide when a man offers him some friendly advice - borrow 100 million pesetas from the Mafia and do everything he has ever dreamed of before ending his life. 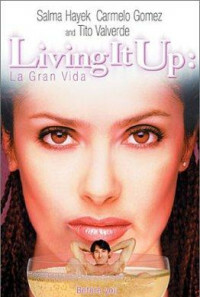 While spending the money he falls in love with Mexican waitress and realizes now he has something to live for. The only problem is that now he has to find a way to pay back the $1 million he owes to the Mafia! Regions are unavailable for this movie. Click the "Watch on Netflix" button to find out if Living It Up is playing in your country.